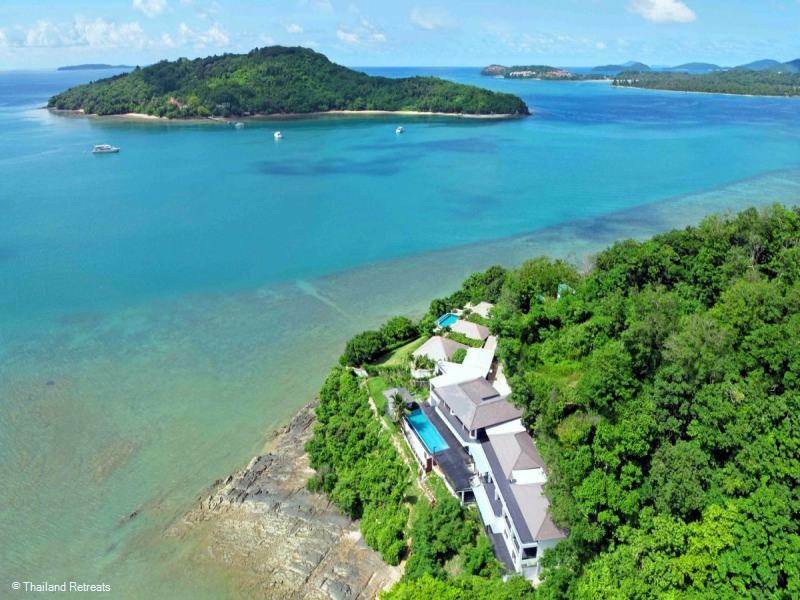 Cape Panwa is a 'green' hilly peninsular located in the south east of Phuket and is attractive to many for it's stunning views over the small islands to the south of Phuket and the peace and tranquility well away from the hustle and bustle of the beaches in the west coast. This tranquil area's main industry is the rubber plantations. They cover the not so steep hills all the way down to the headlands that separate the small sandy coves that are dotted along the coastline. That is followed by business from the port and tourism. A trip to the top of the highest hill on Cape Panwa offers an amazing view of the neighbouring islands and the surrounding area. 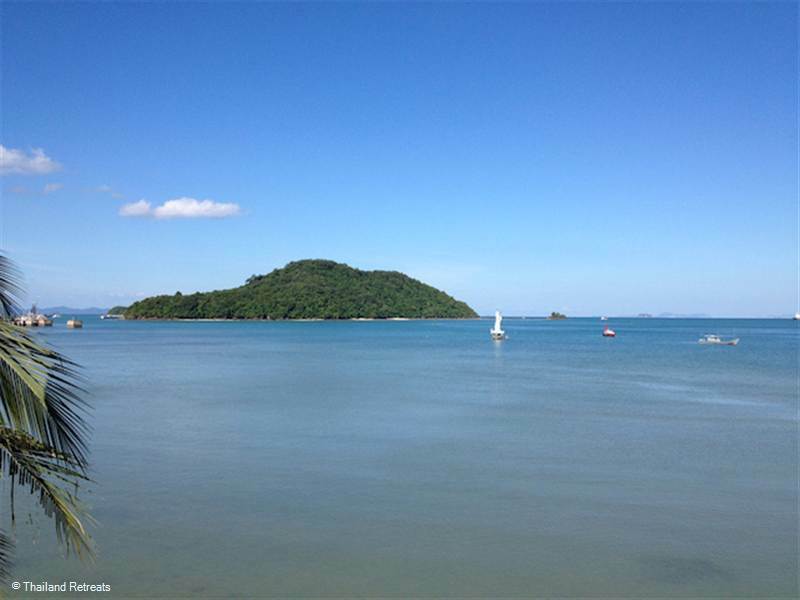 The Port of Phuket is situated on the east and can be seen as you travel down from the north of the peninsula whereas the southernmost tip of the Cape is home to the Phuket's Aquarium and the Marine Biological Research Centre and some high end hotel resorts. Most of the area is inhabited by both Buddhist and Muslim Thai people who live together in harmony in the same laid back way they have done for decades. However, the large sophisticated hotel resorts that are established on the south and east coast have provided good employment for the locals. 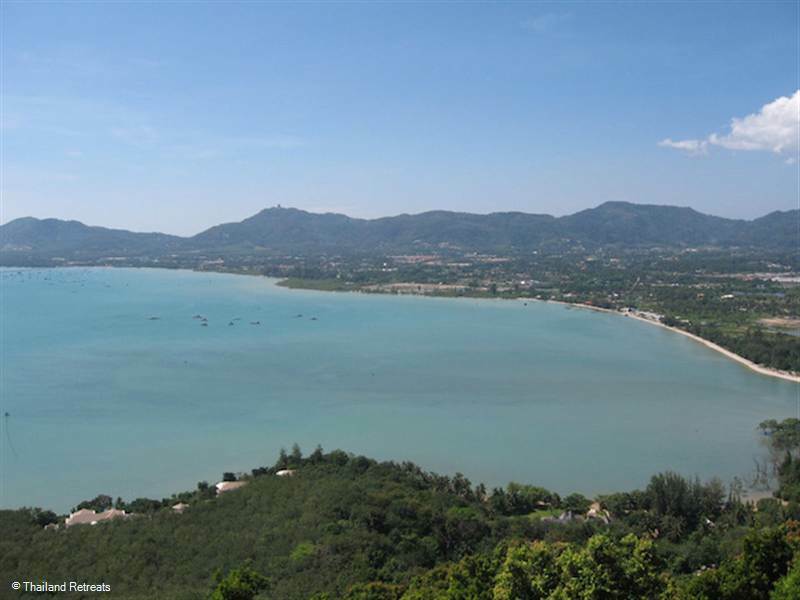 The beaches on the rugged coastline are small and pretty with one reasonably long strip of beach that occupies some of the west coast overlooking Chalong Bay. All the beaches in the south of Phuket have shallow waters and those in Cape Panwa are no exception. The attraction being the beauty and natural environment of the area that some seek for a relaxing holiday. A private infinity edge swimming pool in a luxury Phuket villa with fantastic views certainly compensates the lack of a good swimmable beach for some. The high end resorts in the south of the peninsula all seem to have their own 'private' beach, but it all beaches in Phuket are for public use. Located in the south of Cape Panwa this beach is split into two, the main beach is larger, but quite hard to find. It is located down a hill from the road. 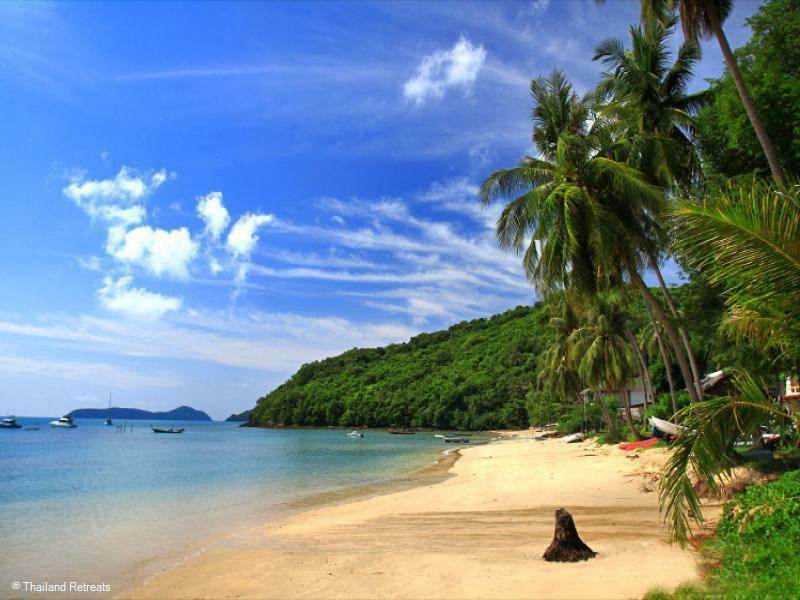 The smaller Ao Yon Noi beach runs closer to the road and has a shrimp farm, but it is not a place you would choose to sit and stay.The larger and actual Ao Yon beach is quite different with it's deep bay, white sands and overhanging coconut palms making - a tropical island beach. 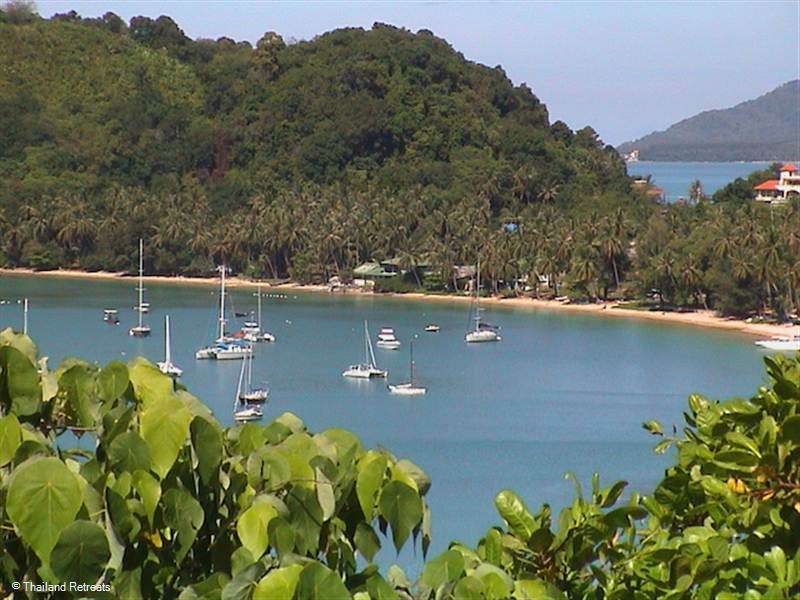 As the Phuket Yacht Club is based in the bay, it is occupied by yachts and long tail boats either moored or cruising by, creating quite a picturesque view. The beach is bordered by small businesses and a few rustic open air restaurants and at one end you will find a cluster of our Phuket luxury beachfront villas, each with it's own yacht mooring. In the centre of the bay there is a Pearl Farm. At low tide the beach opens up to a large expense of sand, whilst at high tide there is only a small stretch of sand visible. The shallow waters make it ideal for children to swim most of the year, but you will not find any sun loungers here as it is at this stage a 'secret beach' and it is just a beautiful beach to visit and relax and enjoy the vista. This is the longest stretch of beach on the Cape on the south west coast of Cape Panwa and is occupied by some luxury beachfront villas, condominiums and one or two hotels taking advantage of the stunning west facing views. As well as some fisherman's huts there is a small shack that sells beach accessories and a long tail boat can be rented for trips in the area.The biggest attraction here is the stunning views of the neighbouring island (Lone Island) rather than the beach itself which is not a swimming beach with a stoney and rocky seabed and a large expanse of sand with shingle at low tide. The Phuket Aquarium is located in the south of Phuket at Cape Panwa and gives a good introduction to the marine life found in the waters around Phuket. It has recently undergone an extensive renovation and now one of the highlights is a 10 metre long underwater glass tunnel. Enjoy stunning 360 degree views from this 2 tier tower viewpoint located on the hillside of Cape Panwa. The tower is approached by gradual steps and there is plenty of car parking space. Although our Cape Panwa luxury villas are able to offer in-house massage and beauty treatments, for the ultimate in pampering you may wish to consider visiting the Spa's at many of the luxury resorts in Cape Panwa. A picturesque beach in the south of Cape Panwa and although generally a quiet beach with no sun loungers it is worth a visit to have lunch and enjoy the stunning scenery of the marine activity. Most of the hotels and resorts on Cape Panwa have restaurants serving international cuisine, many being complimented with stunning views over the Andaman Sea.